CHANEL launched their first creative studio in London at Harrods. Their experimental space is an interactive makeup environment where you can experience the full beauty collection, receive complimentary beauty services, book consultations from experts and attend workshops. 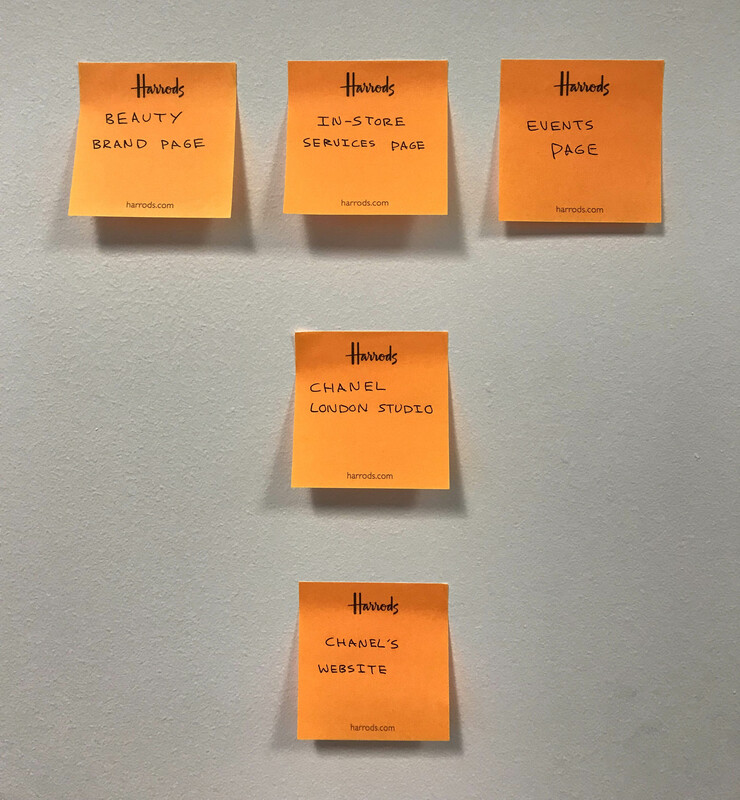 As this campaign spanned multiple channels and teams, the Beauty team prepared the brief which covered in-store, online, social media and art direction for content creation. The prime focus was giving the space maximum exposure across various touch-points. The creative space is a pop-up for 18 months, with other locations dotted around London. 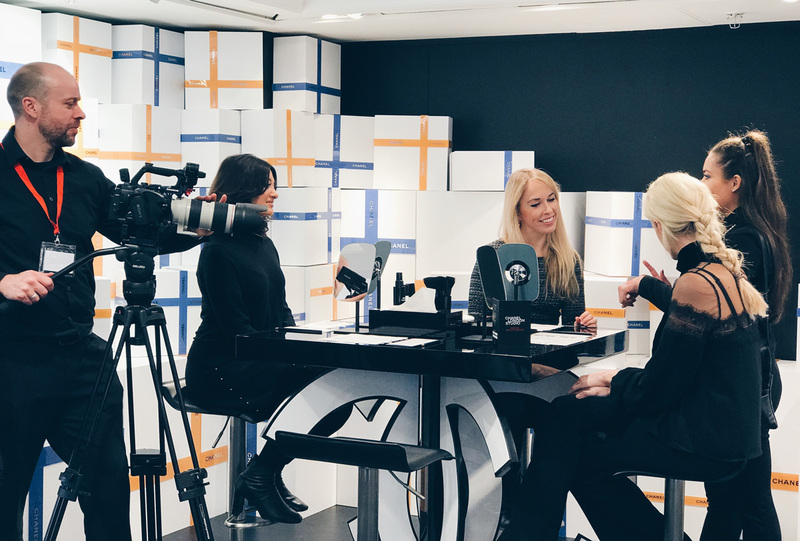 With alternating trends throughout the year, depending on the season, themes and palettes, there would be constant updates to keep the CHANEL London Studio online presence up-to-date and aligned with the physical space. For the launch of this campaign, we needed to shoot content for different digital channels. I worked directly with CHANEL, from London and Paris, to lead the creative direction for this plus the photographers and cinematographers to oversee what was being captured. Video content was required for social and the website, cutting up footage and creating looping assets for the page online. In addition to that, imagery was needed again for social and also to sign-post the London Studio space around the website, via the CHANEL brand and events pages. I was in charge of feeding back creative amends to grading, editing and overall final production of this project. 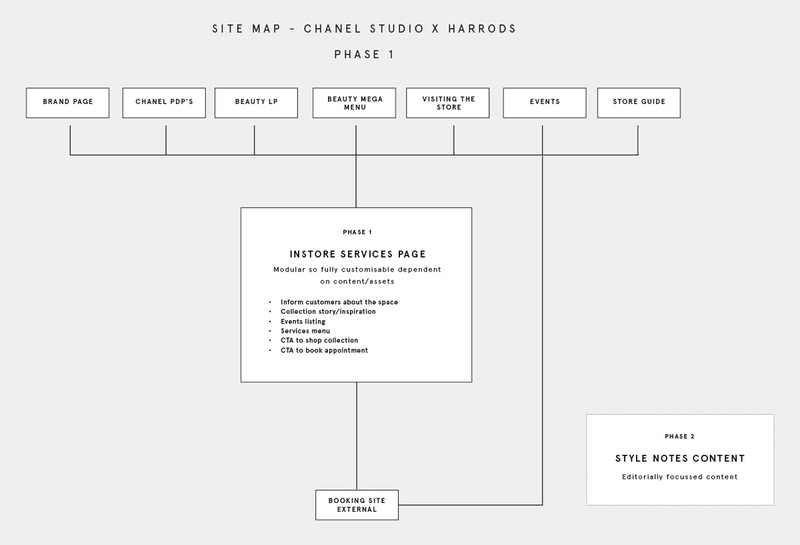 Before shooting content to use online, I referred to the brief and noted down all of the pages and touch-points around the website where CHANEL London Studio will either be called out or featured. I then created a sitemap, sketched out some initial structural ideas in my notebook and began to wireframe in Sketch, for both Mobile and Desktop. Upon starting my role at Harrods, I introduced Sketch to the company as they were still using Photoshop for all digital work. We converted their modular design system over to Sketch, which helped better the design process and has been extremely efficient. All work was signed off internally and then sent to CHANEL in Paris for global sign off, having built a working relationship from the start of this project.